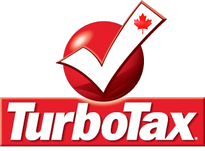 See all the discounts and coupons available for TurboTax Basic 2013/2014 Canadian Edition. This edition is best suited for a rudimentary tax return and includes 8 returns. It is for individuals receiving T-4 employment income, and claiming charitable donations. Highly regarded among the users for simplifying the whole process by guiding you along and eradicating worries about mistakes by guaranteeing correct preparation. If you realize that a version with more options is more adequate, simply upgrade at that moment, even if you already started preparing your return. New in this version is Audit Risk Alert. Before filing, Turbotax will review information entered and if it finds any warning signs will list them for you to review. Once you’re ready to file, you can mail the forms, NETFILE, or TELEFILE. See all the discounts and coupons available for TurboTax Standard 2013/2014 Canadian Edition. In just 5 steps this version will help you get through the tax season. From providing personal information, income, retirement savings options and deductions, review, to filing, count on accuracy and maximum refund. Standard edition focuses especially on charitable donations you made, medical expenses you dealt with, and features allowing you to optimize contributions to your registered retirement savings plan. This latest tool is directly linked to your tax return, and with the help of a slider you can see how one category affects the other. Additionally, to your disposition is CPP/QPP sharing optimizer for couples/partners, import of tax slips, carry forward of your tax data, and Audit Risk Alert (new feature). File online and you can expect your refund in as little as 8 days. See all the discounts and coupons available for TurboTax Premier 2013/2014 Canadian Edition. Have to report rental income on your tax return? Capital gains or losses on your investments? TurboTax Premier will do just that for you and much more. Premier not only helps you calculate the exact gains or losses, it provides overall guidance on how to amalgamate stocks, bonds, mutual funds, or employee stock options and taxes. Property owners will learn all income and expenses that have to be reported on the tax return and the effects of refinancing. It takes into consideration addition or disposition of equipment, buildings, and land. Besides those unique features, Premier comes furnished with audit tax alert, tools that search for credits and deductions, updating changes that occurred in your life, importing previous year taxes into the current format, and retirement saving plan optimizer. All that with 100% accuracy and available for electronic filing (NETFILE) that shortens the time a taxpayer waits for a refund. See all the discounts and coupons available for TurboTax Home & Business 2013/2014 Canadian Edition. This most complete package holds together all the great benefits to file personal taxes and additionally includes business tax options. Those comprise of a list of self-employment or contractor deductions and questions about qualifying business expenses to find the best tax scenario for you in order to maximize overall benefits. This might sound overwhelming but this edition provides step-by-step assistance, clarification of many categories, and includes all the necessary forms and tools to successfully and accurately file your taxes. You also gain access to pension income splitting optimizer and retirement saving plan optimizer, import of e-tax slips and prior year tax reports, help with spousal return, and handling income or loss from different types of investments (rental property, stocks, bonds, mutual funds, etc). The return is checked for potential errors and guaranteed to be 100% accurate. Audit alert, maximum refund guarantee, NETFILE, and refund within days top this comprehensive product. See all the discounts and coupons available on TurboTax 20 for Business, Canadian Edition. Small business owners who need to prepare and file up to 20 returns and have net income of $25,000 or more will find this version most suitable. Start by importing information from QuickBooks or Quicken; if you filed taxes with TurboTax the year before, import all personal information and any unused credits from that year. Go over different business deductions and see how they impact your refund. On the personal tax side, file your and your spouses taxes at the same time, work on pension income and retirement savings plan. It will even help you incorporate income received from investments in financial markets or from rental property. Work at your convenience as you can always get back to where you last stopped, double check all the information for error-free return, obtain the maximum refund based on your personal and business situation, and file online with NETFILE. See how you can qualify to get the TurboTax Free Edition Canada. For simple income sources there is a simple income return. This web-based versions is free and right for individuals with household income no greater than $60,000, receiving T-4 or T-4A slips, claiming tip or pension income, and standard deduction, and not generating any investment income. Even though it is the most basic version of TurboTax software, you can still rely on 100% accuracy of the return prepared. At any given time, the software displays your current refund, where you are in the return process, and how many more steps before it’s all set and done. One of the last sections is Review to correct errors, check for potentially missed deductions, and give you tips on ways to save money and receive bigger refund. It comes with Audit Alert, option to file with NETFILE, and receive the refund within days. See how to qualify for the Turbotax Canada Student Online Edition. For students who continue their education after high school and earn no more than $20,000 per year, Student edition is optimized to provide maximum benefit. This free version includes all the features necessary to successfully complete your tax return. It starts with an interview of different aspects of your life to precisely determine which forms to use and accurately calculate all the numbers. It also tracks all the major changes in your life as comparing to previous tax returns, displays your progress, and lets you bookmark current section and get back to it at more convenient time. This version examines hundreds of deductions and credits, imports multiple e-tax slips, transfers information from UFile, and other optimizing tools for couples.